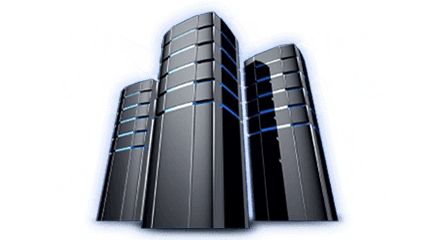 Quality reseller hosting services with 24/7 support and 100% (because of system redundancy) uptime. Feel free to choose either windows reseller hosting or Cpanel Linux reseller hosting. Our commission scale is one of the most lucrative offered in our industry. Many hosted websites aren't restricted to standard primary host / client provider and buyer arrangement. This stands to benefit one or both such parties, with Canadian reseller hosting allowing the customer to 'rent', if you will, additional hard-drive space and bandwidth to the 3rd party websites as they see fit. Whether that's to generate revenue, expand with secondary or subsidiary sites, or simply help out that 3rd party, it's a nice option to have on both ends of the equation. Linux web hosting from 4GoodHosting is a popular choice, in large part to the extensive degree to which the individual has explicit control of their site through the Linux hosting cPanel. Promoting cPanel reseller hosting from this angle is going to look good to webmasters who have dynamic, ever-changing websites. Not surprisingly, Canada reseller web hosting is increasingly popular these days. The reseller has a means of establishing or furthering ties with businesses or ventures where they see the possibility for mutual benefits. 4GoodHosting provides its Canadian reseller hosting customers with customized control panels and servers, and the reach and usability it offers them makes up a large part of the popularity of cPanel reseller hosting. In addition, they're free to add, remove, and modify websites hosted within your Canada reseller web hosting accounts - at their discretion and at any time. The primary hosting provider can be invisible in the arrangement, with your customers having their own branded name servers and of course they'll have their own Control Panel as well to make functional changes to THEIR website while you retain explicit control over the web space. You have no responsibility for the servers themselves, as hardware, software, and connectivity issues are handled in full by 4GoodHosting. To go into greater detail, with Canada Reseller Hosting, you'll have 24/7 FTP file access, subdomain registration capability, and RAIDS disk mirroring for optimum protected storage reliability. Add advanced email management features and a selection of supported scripting and software, including Php5 and a good number more and you can see why Canada reseller web hosting really appeals from the control and usability angle. Learn more about cPanel reseller hosting.